Most of us have some place of work we need to be at every single day of the week. This daily ritual normally involves some kind of commute through automotive or human traffic, a life at a business with your co-workers, eating similar kinds of food at familar places and then another commute through the hordes to your chosen place of residence. For most people, this pattern is relatively unchanging from month to month, year to year. I personally find it a bit of a challenge to maintain a zest for life when you can predict your daily existence for the rest of the year! For the majority of us, we often go out of our way to find excitement… to mix up the energies in order to rise out of the mundane. This usually means travelling, meeting new people, going out at night, finding a new job or moving to a new city…. Now I find as I get older I can look back on my adult life and see that, every once in a while, a set of circumstances occurred in my life that were truly special and quite far outside of the mundane. Perhaps it was a creative project, or a very inspirational journey to a foreign country (like my recent trip to Italy), or a collaboration with a great group of people…. When you are in these moments, some of the time you are aware that something important is happening and that you should cherish every second! Normalcy will likely be restored soon enough…. so best to breathe deeply and enjoy the highs as everyday life is just around the corner, right? 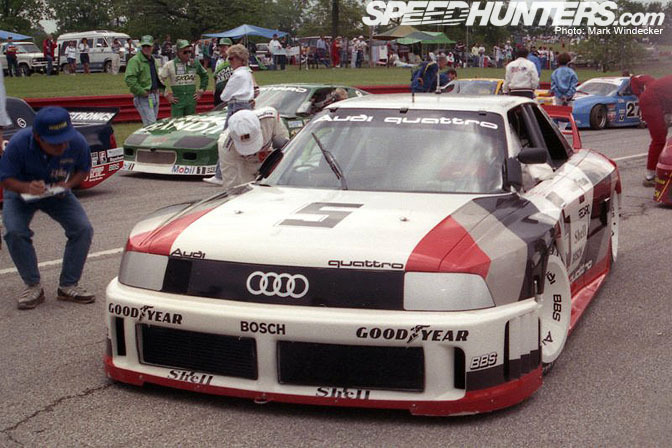 I could go on for ages about this… but let's talk about the subject of this article: the 1989 IMSA Audi 90 quattro GTO. 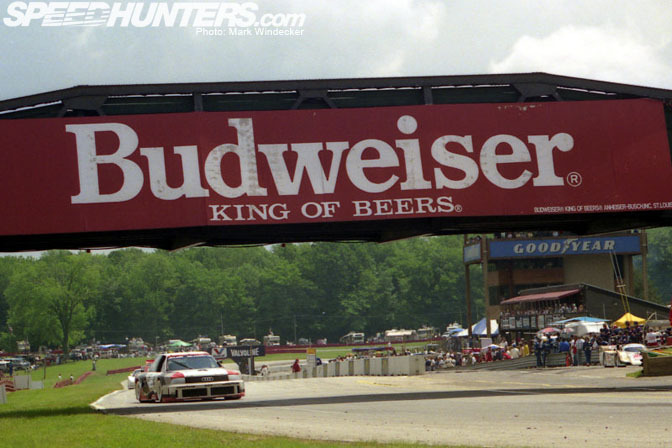 This is a race car that broke the mold of what is considered "Normal" in so many ways. Its like had never been seen before and you can be guaranteed that nothing like this car will ever be built again. So let's take a moment to appreciate it shall we? 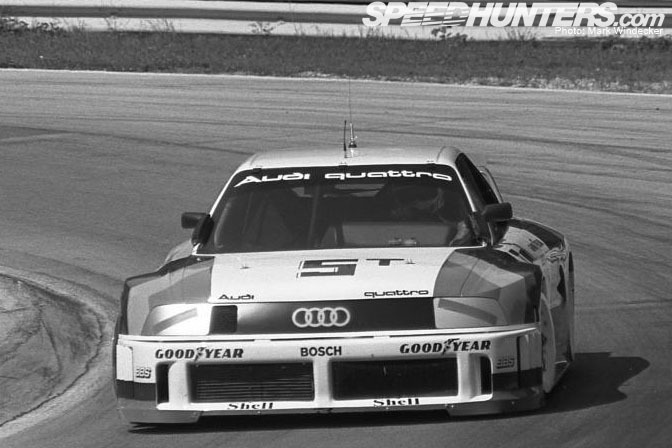 The IMSA Audi 90 GTO was one of the wildest, most technologically advanced four-door race cars to ever hit the tracks. It was basically a 700bhp AWD Group B rally car engine-drive train package, mated to a space frame chassis, and draped with a carbon fiber silhouette body. If that doesn't get your attention then I don't know what will! 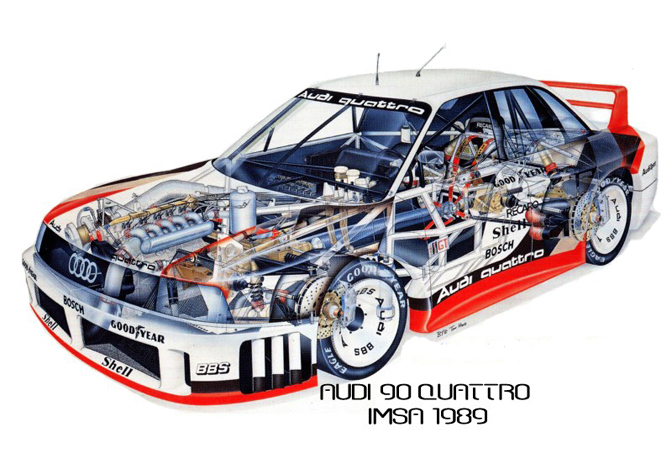 The genesis of the Audi 90 GTO began with Audi's introduction of the now famous quattro system into the WRC in 1981. It seems a bit obvious by today's standards, but at the time, no one had successfully implemented an AWD system in rallying. 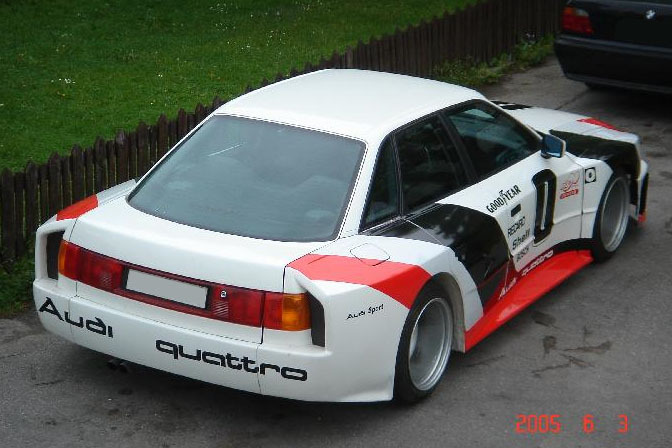 The first Audi quattro rally car was very heavy and cumbersome compared to it's RWD competitors, but its traction advantage was such that by 1982 Audi were World Rally manufacturer champions. In '83 they took the World Rally Driver's championship at the hands of Hannu Mikkola and in '84 took both the Drivers title w/Stig Blomqvist and Manufacturers Championship. By 1985, wilder Group B cars like the Peugeot 205 T16 had moved to the foreground of this doomed but legendary category. Audi attempted to fight back with their own crazy Group B machine: the Sport quattro S1, but this car wasn't particularly successful against a new generation of purpose-built, mid-engine rally machines. 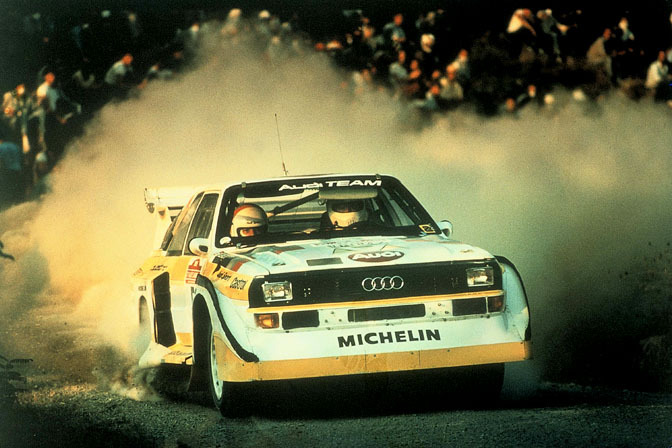 Audi withdrew from the World Rally Championship in '86 as the Group B category collapsed on itself. The cars were just too fast and dangerous for their own good and a spate of high profile, fatal accidents meant the end of an era. 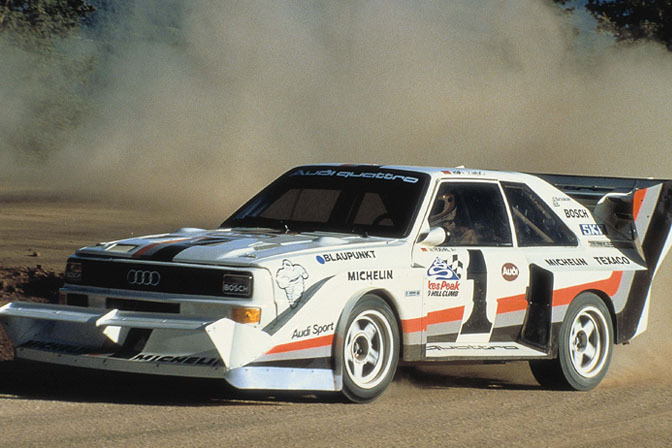 Audi did have one trick up its sleeve before mothballing their rally cars: a series of victories at the legendary Pikes Peak hill climb. This picture shows Walter Rohrl's epic overall victory at the 1987 Pikes Pike hillclimb with a special 600 bhp version of the Sport quattro. It was the third win in a row for Audi at the famous event. At this particular time, Audi's reputation in the US was suffering due to a spate of faulty brake/acceleration claims against the company…. 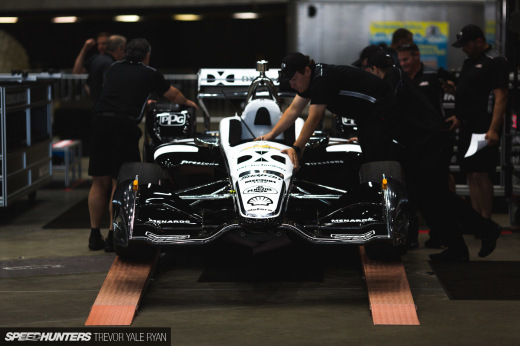 so they turned to motorsports to rebuild their brand image in the US. 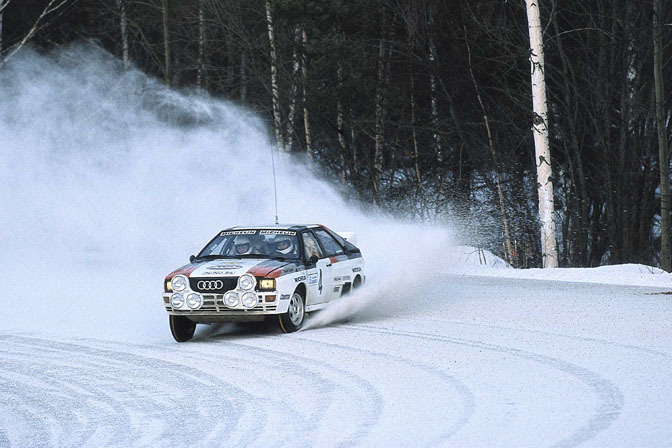 So, with mission accomplished in rallying, what to do with quattro technology? Why not prove it on the track in Amerca? Surely this AWD business was good for something other than snow, gravel and mud, no? 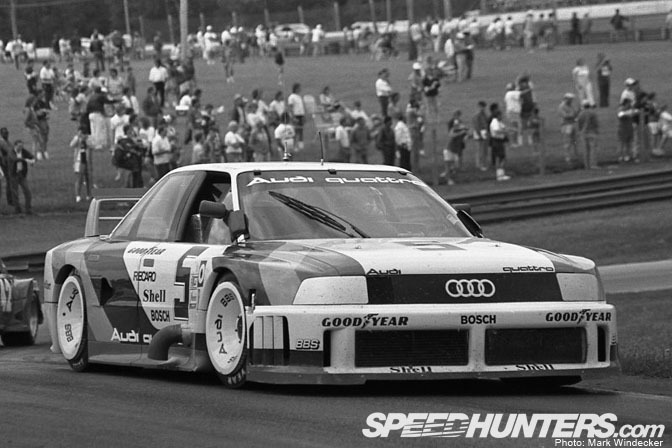 So Audi dropped the rally engine and drive train into an Audi 200 unibody, built up a race car and entered the 1988 American Trans Am Series. The car turned out to be quite successful against its tube frame competititors and took overall honours at eight races that season. This netted Hurley Haywood the 1988 Trans Am Drivers Championship. So far so good, right? Eager for a new challenge, Audi decided to build a car for the less restrictive and more professional IMSA Camel GT Championship. 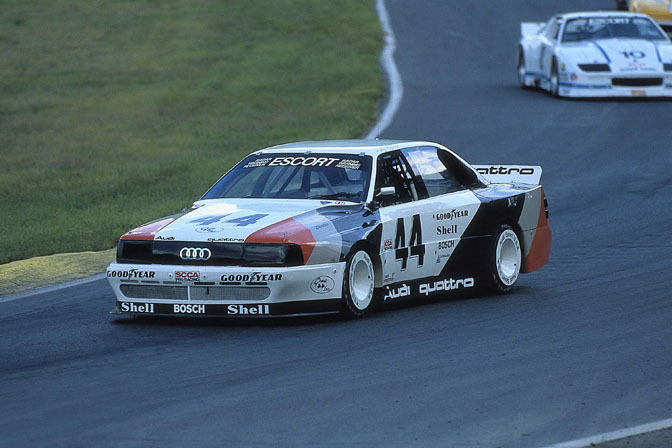 And this brings us to the subject of this Retrospective Article: the IMSA GTO spec Audi 90. The IMSA Championshp was at the peak of its success in the late 80s and boasted separate Prototype and GT races at most of their events. This is a far cry from the limited fields at today's ALMS races. 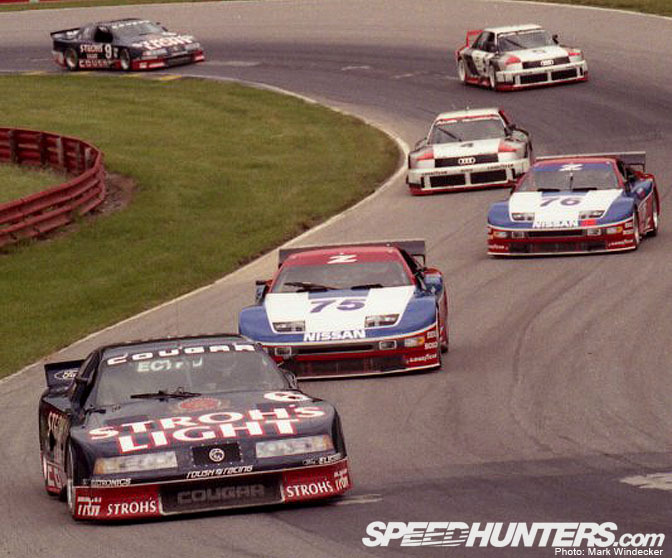 Competition came from the factory Roush Racing Mercury Cougars and the Nissan 300Zs of Cunningham Racing. 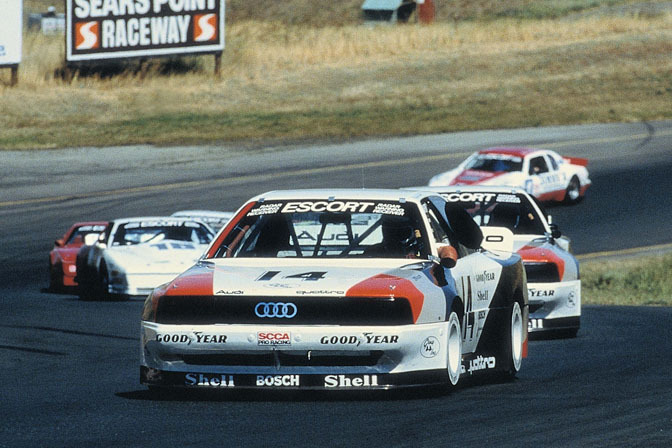 I was lucky enough to see these cars race at Portland International Raceway as a teenager and remember the commentators saying the Audi was much easier on its tires than its competitors, who struggled with tire wear over the course of a full stint. The ever reliable and developed quattro system was installed in a purpose built spaceframe clothed in a full carbon fiber shell. 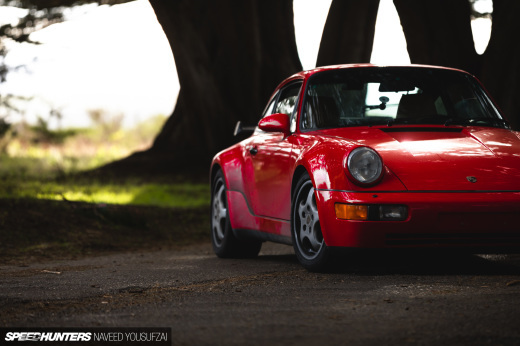 The AWD race car put down an amazing 720 bhp of thrust to all four wheels…. It's pretty crazy to think about, isn't it? Looking closely at this photo, you really see how the car is little more than a super-wide Audi-themed silhouette shell attached to a full race tube chassis. This rendering gives you a clear view of what's under the skin of the car. It's interesting to see just how far forward the engine sits. So if you consider the side view… the engine is literally forward of the front axle line. Most unusual. The widest body ever made? This car gives the look of being almost as wide as it is long, doesn't it? Unfortunately I wasn't able to source detailed chassis shots, but do need to thank Mark Windecker for continuing to allow us to work with his archive of IMSA photos. 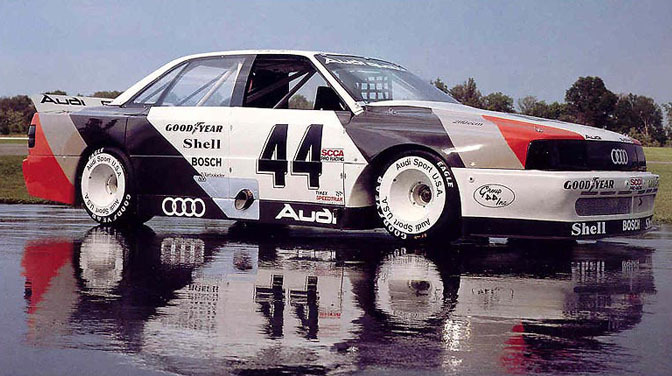 In spite of winning seven of the thirteen races, Audi lost the championship to Roush Racing that year. It probably didn't help that they sat out the two enduro races at the start of 1989: Daytona and Sebring. Although the IMSA program was conceived to last for two years, it was dropped after only 1 season. Audi elected to enter the DTM instead with their top end luxury car, the V8. They won the championship at their first attempt for Hans Stuck and a young Frank Biela repeated the feat the following year. 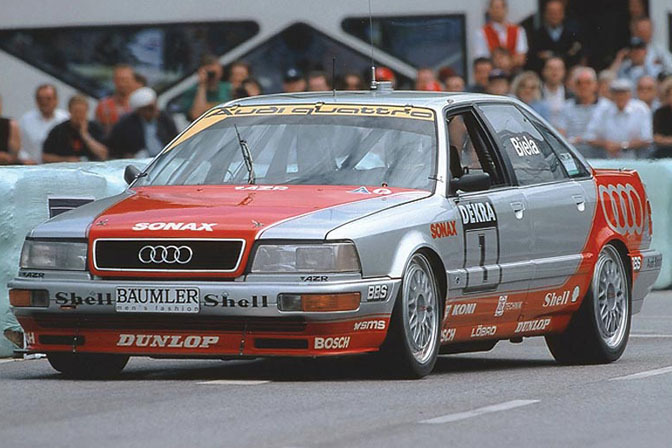 As Andy Blackmore outlined with yesterday's Tin Top article, this program lead to the successful Super Touring Audi quattros of the 1990s. The big wheels tucked up into the super-low stance is the mark of why so many of us love this era of tin tops. …. 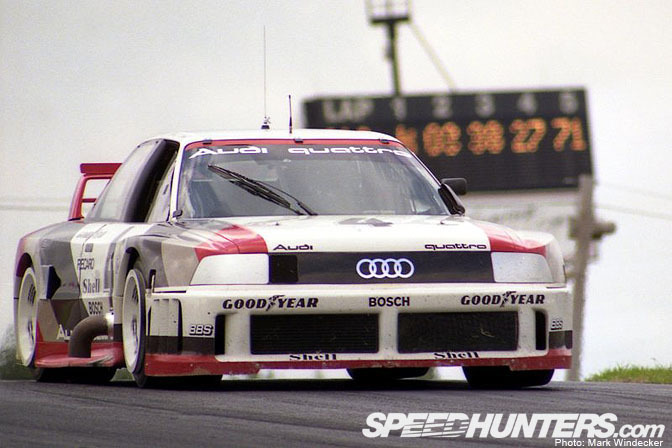 But for me they don't quite compare to the unadulterated madness that is the Audi 90 GTO. 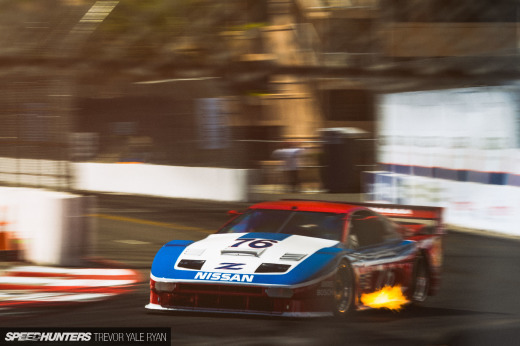 Although it only raced for one year, it has become quite the legend of a race car. The Swede Peter Bolnert also is a fan of this car as several years ago he took it apon himself to build a street replica…. The finished car features a full carbon fiber wide body and a V8 engine. (This photo was taken before the wheel covers were completed)…. 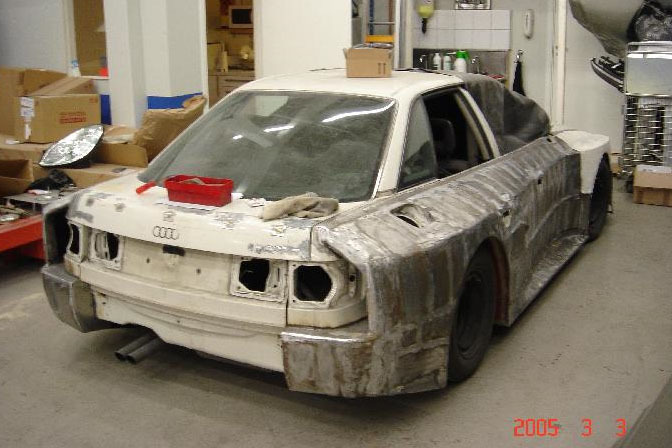 Only in Sweden would someone be crazy enough to build a car like this hahaha…. Perhaps people in this country understand a secret to avoiding mediocrity in day to day life. It's a choice isn't it? Now to find some video of them on youtube...the search begins. The world really needs more 5 cylinder turbo's. I'm surprised at how far forward the engine is, you'd think they would move it back, especially for a car like this. Even in their street cars the engine is mounted in front of the axles. I suppose is like the 911, they've figured out how to make it work (sort of). THose are wheel covers! Ohhhhhhhhhhh! I was like, what kind of wheel design is that? Thanks, that car is sick. Super wide. THose Roush Cougars are crazy, they are such the grandma car these days. That chopped off back window is wacky. love the replica at the end... imagine rolling to the shops in that! 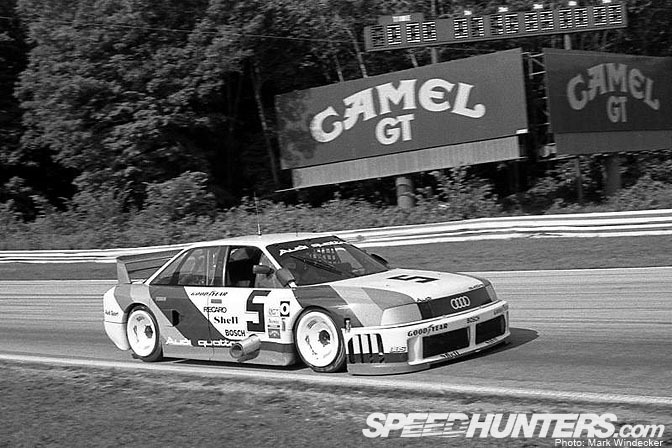 Audi has a series called Secrets of Speed on youtube showing how they did in Grp B rallying and in IMSA. They tell you why they left the American series...racers thought they had the unfair advantage because of the 4wd and that caused a lot of problems with the sanctioning bodies. This article is amazing. That is all.